A root canal is a means of removing diseased dental tissues from within the pulp of the teeth while preserving as much of the natural tooth structure as possible. Here at Santa Monica Esthetic Dentistry, we know that tooth cosmetics are as important to our patients as dental health, which is why we restore teeth with natural-looking crowns following an endodontic treatment. Natural teeth are comprised of more than what appears above the gum line. There is also a root structure that is anchored within the maxillofacial bones. These roots contain live tissues known as dental pulp. It is protected by the hard outer portion of the teeth, which prevents bacteria and debris from entering the tooth structure. Unfortunately, untreated tooth decay can progress, allowing bacteria to enter the pulp. The tissue can then become painfully infected and inflamed, eventually causing the tooth to die. 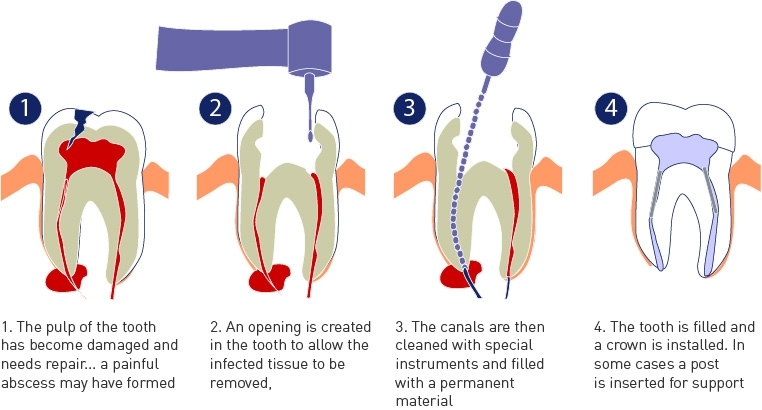 A root canal removes the affected tissue while preserving a portion of the natural tooth structure. A small opening is created in the surface of the teeth, and the pulp is removed. The inside of the tooth is then cleansed and sealed before being restored with a crown. And because we feature CEREC same-day crowns at our office, we can treat and restore teeth from start to finish in a single visit.